Detailed Specifications No tap hole, Order 32mm standard plug & waste separately. Degradè, designed by Terri Pecora, to be the perfect solution for today’s modern home. 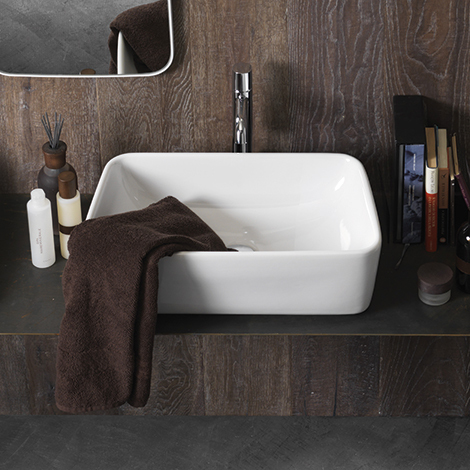 Designed to bring a sense of space to every bathroom, no matter how small, this slim-line collection is based on the concept of the trapezium and includes Seventies inspired softened angles and clean lines all combined in a space-saving design.